(NaturalNews) Bad posture is a modern day health epidemic that is much worse than most people naturally assume. Posture is the window into your spine. 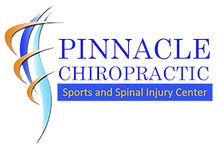 The spine has a powerful relationship with the brain, spinal cord, and overall organ function. This intimate connection means that poor posture and spinal health will lead to an overall decrease in brain and organ function.Nobel Prize recipient Dr. Roger Sperry says that the spine is the motor that drives the brain. According to his research "90% of the stimulation and nutrition to the brain is generated by the movement of the spine." Only 10% of our brain's energy goes into thinking, metabolism, immunity, and healing. Sperry demonstrated that 90% of brain energy goes into processing and maintaining the body's relationship with gravity.